If your home is more than a few years old, you probably have some problems that you aren’t aware of having. When your contractor starts on the remodeling process, these problems will become apparent, and they’ll have to be repaired. For example, your insulation might have asbestos or your home’s wooden beams might have termite damage. You can’t possibly know what hidden repairs you have until you start the remodeling process. You might be able to stay in your home and eat all of your meals there during the remodel. However, you might end up having to get a hotel or eat your meals at a restaurant. This will add to the cost of the project, so think about what your life will be like during the remodel. Remodeling projects aren’t exactly neat affairs. You might need a dumpster outside of your home during the process, and your city might charge you for it. You’ll also have to pay to get the dumpster delivered and hauled away. Then, you might have to clean your carpets once the remodel is done. You might think you are absolutely certain that you know what you want out of your remodel, but don’t be surprised if you change your mind. Change orders are very common during a home remodeling project. Change orders equal money, so you will have to pay more if you change your mind. Building codes change from time to time. If your home is newer, it’s likely up to code. What if it was built 20 or 30 years ago, though? If so, you might have some code violations that will need to be addressed. Your contractor will need to bring your home up to code during the remodel. 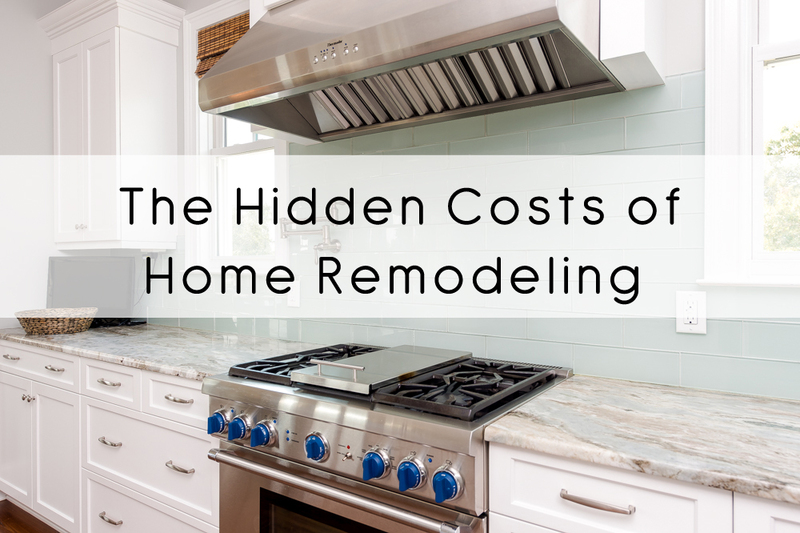 You might end up spending a few extra bucks on utilities during the remodel. Your contractor will need to use some heavy-duty equipment, and that equipment can cause your electric bill to go up. It won’t go up much if the contractor just has to use heavy equipment for a few hours a day. However, if the equipment stays on overnight, it could add up to an extra $40 or so on your next bill. Add up all of the potential expenses so you won’t have any surprises during your remodel. Keep in mind that some things are outside of your control, so budget a little extra money before you begin your remodel.